Before they leave for New Zealand, we often ask our customers "What are you most looking forward to?" Most will say say "The scenery". When we ask them after their vacation "What did you enjoy the most?" most will reply "The scenery, and the people". Here's a video that includes Hollywood actress Bryce Dallas Howard and NBA star Steve Adams, talking about the scenery and, New Zealanders. Getting to know the people, is the reason we usually suggest a night or two of your vacation at a B&B, Farmstay, AirBnB or Homestay that is hosted by New Zealanders. People like Teresa and Peter at the 'The Rocks Homestay' at Punakaiki on the West Coast of New Zealand's South Island. 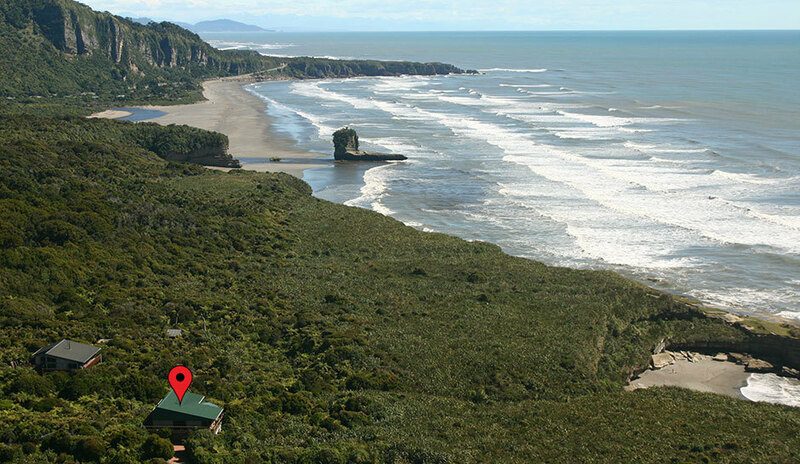 It's not just the setting of their wonderful accommodation, seen below, at Punakaiki. It's also an opportunity to hear their stories about the history of the place where they live and the love they have for this wonderful part of New Zealand. And like many of our hosts, they'll probably have a "secret walk" or "secret beach" for you to explore. Memories to savour. Or two of our favorite characters, Manfred and Ulrike and Ulrike's son Rakiura at Jensen House Bay on the remote Stewart Island. 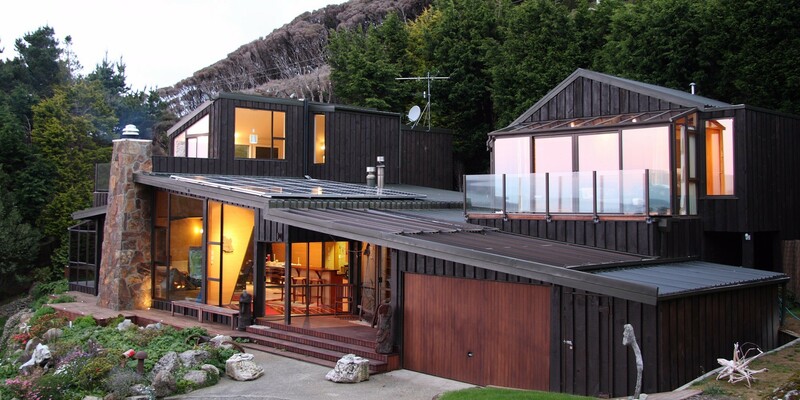 They might not be New Zealand born, but their knowledge and love for their home on Stewart Island leaves visitors feeling enriched and grateful for the experience of staying with them, in a way that no hotel could match. They're just 50 metres from one of the most remote and beautiful little beaches you will find anywhere and probably the southernmost beach in New Zealand. In fact if you decided to take a swim and headed south, your next stop, after 2,000 miles would be the frozen continent of Antarctica! There are also native birds like kakas, tuis, bellbirds and fantails in abundance; and little blue penguins, some of which nest under their house. Even the elusive Kiwi has been known to saunter through the property or encountered on the walk to the nearby lighthouse. We'll finish this blog by sharing a personal story from our stay at Jensen Bay. We were driving back to the bay after enjoying a Kiwi Spotting tour on another part of Stewart Island - it was around 2 in the morning. 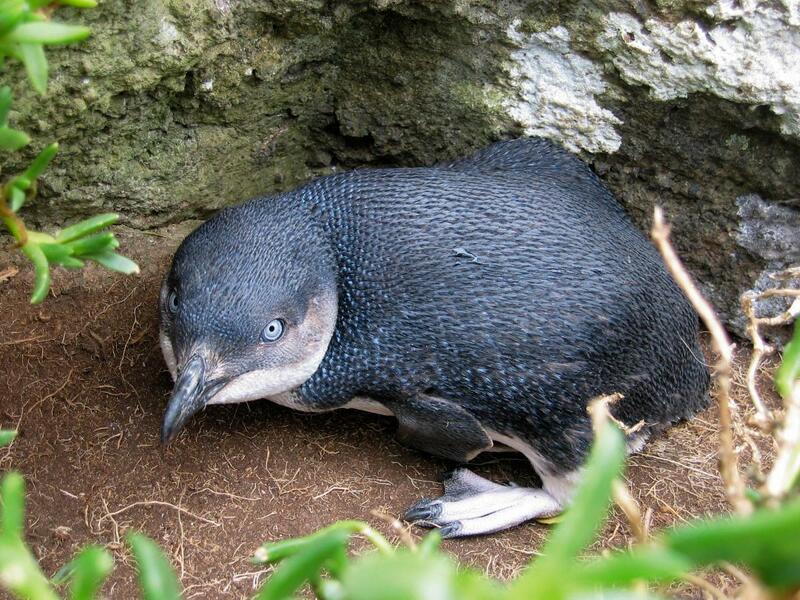 We suddenly spied a group of little blue penguins, with one of them sitting in the middle of the road, blocking our way. So my wife Susan jumped out of the car and with much waving of her arms encouraged it to move away. The next thing we heard was a blood curdling scream that would have been heard halfway around the island - "It attacked me" she cried, all 8 inches of it. We were still laughing two days later! Stewart Island is included in our suggested 25 Day Magnificent New Zealand itinerary, but if you're keen to make a visit we can incorporate into any of our itineraries. Just one of many New Zealand destinations where we encourage you to stay for a day or two with one of our recommended Kiwi hosted B&B's, Homestays or AirBnB's.